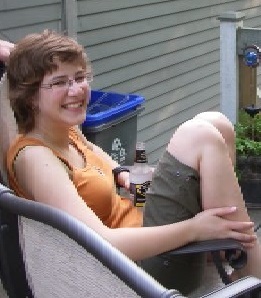 Once upon a time I was a jeans and t-shirt kind of girl, or tank top and board shorts as illustrated in my very poor quality picture. My sense of style didn’t get better than this in my teenaged years, but thankfully as an adult I got some excellent guidance from a great friend and awesome boss. It also helped that Goodwill used to have a 50% off sale every Friday. 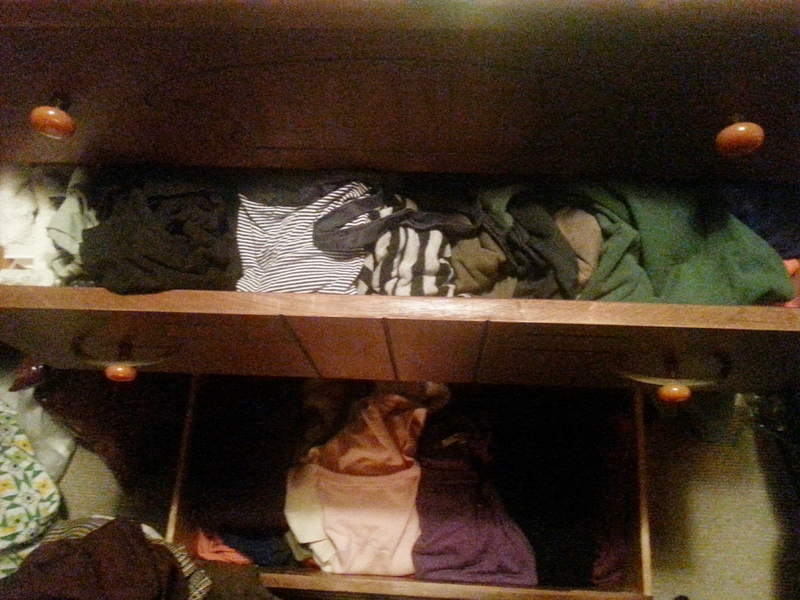 It all started with a “no pants at work rule”. 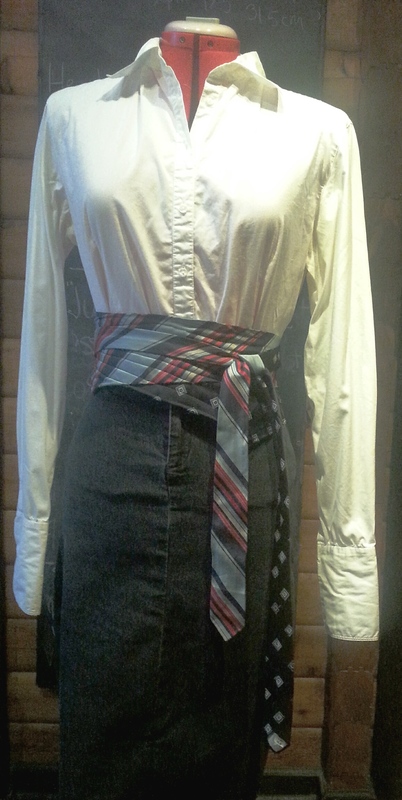 This was a dilemma as all I owned were pants, so Meaghan made me a denim pencil skirt and the original tie belt. Since this one outfit, I’ve come a long way. 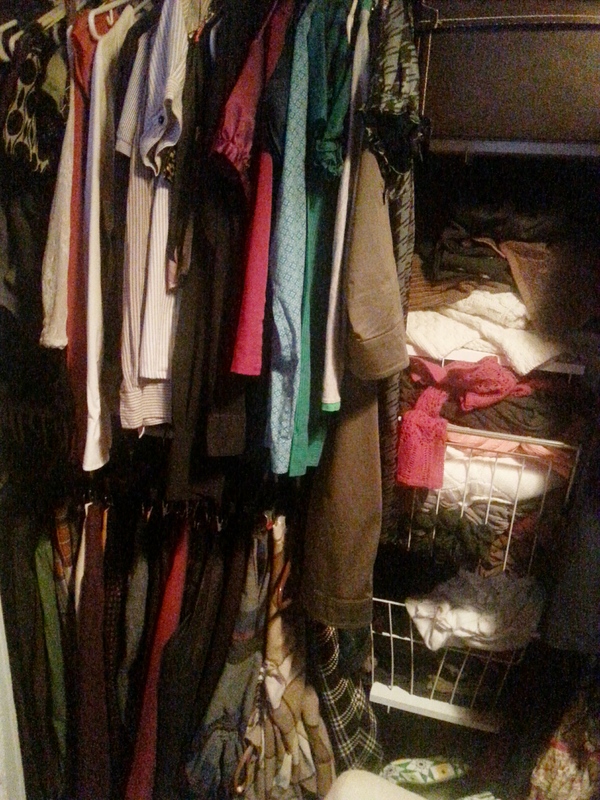 This is only the winter half of my clothing and almost everything I own was bought second hand. The exceptions to this would be things I made for myself, Awkward Stage pieces and the few, rare mall finds. Now I after five years of work I have a pretty great sense of personal style that always seems to be evolving in someway. But to find out about that you’ll have to click here or here. 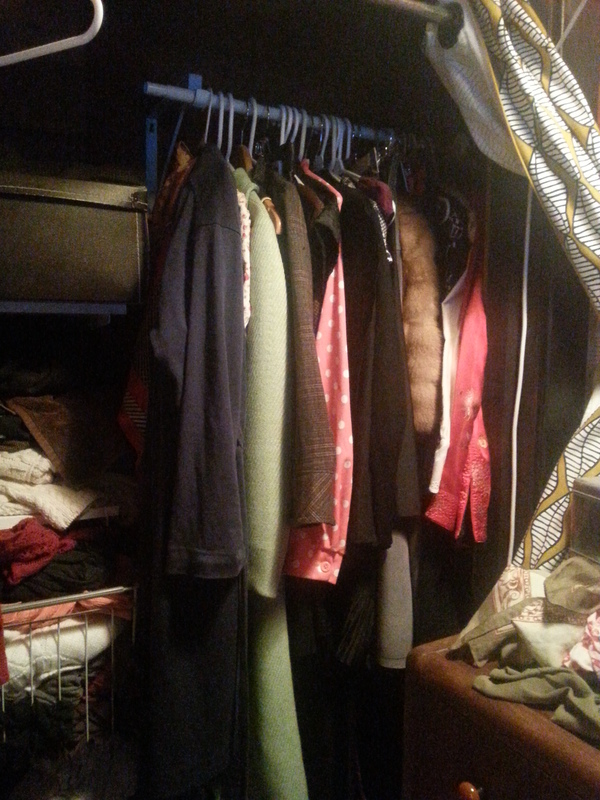 Posted in Card Catalogue, Observations From The Apprentice and tagged Barrie, Canadian Fashion, fashion, Goodwill, Le Petit Chapeau, Meaghan Armstrong, Personal Style, Sara Czech, second hand, style, Thrift shoppping. Bookmark the permalink.